Rev. Bogumił Zygmunt Gacka (1955–), Professor of Systematic Theology, Chairman of Christian Personalism, founder of the biannual Personalism, published Bibliography of American Personalism (Lublin 1994), American Personalism (Lublin 1995) and Bibliography of The Personalist (Lublin 1999). “An unborn human being is a person” (Athens, May 2001). Personalism is a scientific, philosophical (social–ethical) and theological movement that finds ultimate reality and value in the Divine or human person (absolutely in God and analogically in created persons). As a doctrine or school of thought Personalism emphasizes the significance, uniqueness and inviolability of the person, and the communitarian dimension of the person, which is the principle, cause, goal and sense of all reality. A person (persona) means an objective subsistence (ύιποστασις) and a subjective subsistence (προσώπου). Thus Personalism is a scientific, philosophical and theological perspective or system for which the person is the ontological ultimate and for which the person is the fundamental explanatory principle. Within this system, there are two types of Personalism: Realistic Personalism and Idealistic Personalism. Generally however, the core of the Personalist doctrine is that God is Personal (Theistic Personalism) and that all scientific, epistemological, metaphysical and ethical (moral), social and theological truth derives from the highest mystery (fact, category and dignity) of the person which is a key to reality. Personalism emphasizes that the person is a key notion which gives meaning to all of reality and is the supreme value: the dignity of a person is always respected. Personalists hold that a person combines unity and variety, permanence and change, causal activity and receptivity, actuality and potentiality, subjectivity and objectivity, mechanism and purpose, identity and creativity. The personalistic Hall of Fame has truly a long history: Anaxagoras (500–430 B.C.) approached a personalistic Theism by his doctrine that the divine Nous or Mind governs all motion. Socrates (469–399 B.C.) is praised for having taken philosophy seriously as the search for truth by which to live, even at the cost of his life, and opposed moral relativism by a critical, rational method which combined an ethics of satisfaction and an ethics of reason. He discovered the soul or self as the center from which sprang all human action. To Plato (427–347 B.C.) the debt of Personalism is philosophically most significant. He stated that only the logical, the ideal, and the self–active is true. His doctrine of Eternal Ideas provided a clear affirmation of the objectivity of value–norms independent of human opinion. In his method Plato contributed what he called a ‘synopsis’, a deliberate viewing of experience in its larger and more richly significant wholes. In ethics he espoused a doctrine of self–realization, the aspiration to become a harmonious whole in which every aspect of the soul might take the role most consonant with the meaningful unity of the whole. Aristotle (384–322 B.C.) emphasized reality as concrete and individual, and thus corrected Plato’s tendency toward an abstract metaphysical universalism. He substituted the World–Soul of Plato for a single self–conscious Being, a ‘Prime’ or ‘Unmoved Mover’. To Aristotle the American Personalists gratefully attribute an increased emphasis upon empirical method and a sharpening of logical instruments, the continuance of the ethical tradition of self–realization and an aesthetic theory which found intimate positive relations between aesthetic experience and other needs of the human person. St. Augustine (354–430) developed the conception of the unity of the mental life, the significance of the will in the life of both God and humans, and also he formulated the truths that self–certainty is more immediate than our knowledge of the external world and that valid metaphysics must be based on the self–knowledge of the finite personality. Not only did he put thought above things but he rightly valued the thinker above thought. Augustine established the existence of the soul as a thinking and willing being. In his Confessions and De Trinitate, he made much use of analogies between observed aspects of the human soul and the distinctions within the Holy Trinity, thus showing many times his belief in a profound kinship between the human soul and God, despite the mystery and transcendence which he also emphasized. Avicenna (980–1037) and St. Thomas Aquinas (1225–1274) drew from Aristotle a personalistic interpretation and thereby preserved the peculiar genius of Eastern and Western culture. St. Thomas ascribed efficient as well as final causality to God and thus made the world directly dependent upon the divine will both for its origin and its preservation (creatio et conservatio mundi). He attributed a distinctly personal character to God as the Author of all being and established the belief in personal immortality, defending a system of philosophical ethics and ascribing to humans the highest worth possessed by any creature on earth. R Descartes (1596–1650) revived the Augustinian doctrine of the primacy of self–certainty and made it basic to his system: Cogito, ergo sum. At the same time he broke the Aristotelian distinction between matter and form which had triumphed over the human mind for almost two thousand years, and in its place he put a radical distinction between thought and extension or mind and body. He held the mind to be independent of the body and by virtue of its own unique self–identity capable of an immortal destiny. Gottfried Wilhelm Leibniz (1646–1716) defined more precisely the nature of individuality and ascribed to the individual a large degree of metaphysical independence. He conceived of substance as realized both in the Infinite and in finite monads as psychical and active. The Leibnizian monadology represented reality as made up of active individuals, including human persons but also a vast variety of other psychic units, ranging from the most dimly conscious or unconscious sleeping monads to the sublime consciousness of God. Every monad is active (“to be is to act”) in the universe consisting of simple psychic monads, but the monads do not interact (only seem to) by virtue of a pre–established harmony. As Descartes reintroduced the primacy of self–certainty, so Leibniz reformulated the principle of individuality. George Berkeley (1685–1753) was the first philosophical personal idealist. He completely denied the substantial reality of the material world, reducing it to a series of presentations produced in finite minds by the Infinite. To God and to souls alone did he ascribe metaphysical reality. All reality consists of active spirits and their perceptions or passive ideas. There is no unconscious material substance (esse est percipi). Material substance is unverifiable. Nature exists only in spirits, primarily in the Divine Spirit or Person, and then is communicated as “a divine language” to human spirits. In describing the material world as the divine language G. Berkeley combined Christian Theism with metaphysical Idealism. His system was, in the strict sense of the term, a Personal Idealism. Immanuel Kant (1724–1804) influenced American Personalism under three headings: the theory of knowledge, ethical theory, and the primacy of practical reason. Personalism owes much to Kant’s theory of knowledge. The central aspect of his theory is the activity of the mind. By this doctrine of the creative activity of thought Kant gave to the spiritual individualism of Leibniz and Berkeley a definiteness of content that it had previously lacked and also supplied it with a firm epistemological basis. American personalists have emphasized the central place of the activity of the mind in knowing and being more than Kant and have fully acknowledged their Kantian source. Personalism has maintained with Kant that knowledge is an achievement, the product of the creative activity of the human person. The second aspect of the theory of knowledge for which Personalism is indebted to I. Kant is what is called epistemic dualism. This latter essentially means that knowledge is always a matter of subject and object. For Kant knowledge is identified with the paradigm of science. To have knowledge (science) there must be a knower (subject) and something else that is known (object). By his doctrine of the primacy of the practical reason I. Kant justified the belief in freedom, immortality, and God (Theistic Personalism). The primacy of the practical reason means that the affirmations of the moral life take precedence over scientific knowledge of phenomena. The postulates of the practical reason, which ground this precedence, are freedom, immortality, and God. Kant held that in order to have morality there must be freedom. In order for virtuous people to be rewarded with happiness there must be immortality, since virtue is certainly not so rewarded in this life. And in order for there to be immortality there must be a God, who so arranges mysteries that virtue and happiness are crowned in immortal life. In Kant’s synthesis of apriorism with empiricism there is also to be found the justification of the profound metaphysical significance attributed by American Personalism to self–experience. Although Georg W. F. H e g e l (1770–1831) established the rationality of the real (“the real is the rational”) and he made coherence the criterion of ethical and aesthetic value as well as of truth (“the true is the whole”), Rudolf Hermann Lotze (1817–1881) corrected the Hegelian tendency toward an abstract and universalistic type of metaphysics by successfully maintaining that reality is always concrete and individual. In his Absolute Idealism Hegel never solved the problem of the transition from universality to individuality. R. H. Lotze also realized that reality is infinitely richer than thought, and that in the form of personality it offers an adamantine resistance to every dissolvent that thought is able to apply. For without a thinker there can be no thought just as without an agent there can be no activity, either mental or physical. The self is a presupposition of thought. True existence must, therefore, be something more than thought – it must be existence for self. According to L. Harold DeWolf Lotze defined the human soul neither as a substratum substance nor as an observed consciousness, but as the observing, thinking, willing subject, always to be distinguished from phenomena of every kind. It is the observer, not the data observed in introspection. R. H. Lotze thus transformed the logical rationalism of Hegel into a personal rationalism, and the Absolute Idealism of Hegel into a Personal Idealism. He styled his own philosophy ‘Teleological Idealism’ and was, in fact, a personal idealist. In Germany the term ‘der Personalismus’ was first used by F. D. E. Schleiermacher (1768–1834) in his book On Religion in 1799. R. H.Lotze (1817–1881) published his Mikrokosmus in Leipzig, 1856–1858. The prominent German psychologist William Stern (1871–1939) edited his Person und Sache in Leipzig in 1906. Max Scheler (1874–1928) was famous for his Ethical Personalism. In France personalistic principles are to be found in M. Biran (1766–1824), F. Ravaisson (1813–1900), and G. Marcel , H. L. Bergson (1859–1941), E. Mounier (1905–1950) and J. Maritain (1882–1973). In 1903 Charles Renouvier (1815–1903) published his book Le Personnalisme in Paris. In England John Henry Newman (1801–1890) used the words ‘this method of personation’ in 1830, and John Grote, Professor of Moral Philosophy at the University of Cambridge published in 1865 his book Exploratio Philosophica, where he gave the name Personalism to the basic principle of his own Metaphysics. The other representatives of Personalism in Britain were H. W. Carr (1857–1931) who wrote The Unique Status of Man, London 1928, and J. M. E. McTaggart (1866–1925). Russian Personalism was developed namely by V. S. Soloviev (1853–1900), N. A. Berdyaev (1874–1948) in his autobiography Dream and Reality, and presented by N. O. Lossky (1870–1965) in his History of Russian Philosophy (1951). In Poland the genius of N. Copernicus (1473–1543) in Astronomy, De revolutionibus orbium coelestium (1543) and F. Chopin (1810–1849) in Music, preceded Personalism in Philosophy, Theology and History. Card. Karol Wojtyła (1920–) in his Osoba i Czyn, Kraków 1969, developed his own original Personalism. Card. 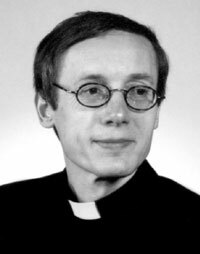 Stefan Wyszyński is well known for his Social Personalism, and the President of the Catholic University of Lublin, Rev. W. Granat (1900–1979) wrote Personalizm chrześcijański. Teologia osoby ludzkiej, Poznań 1985. Rev. Cz. S. Bartnik (1929–), is a seminal Personalist, Personalizm, Lublin 1995, 2000 and also Rev. Tadeusz Styczeń, Rev. Stanisław Kowalczyk. In America one of the most interesting episodes in history was the founding of the Concord and the St. Louis Schools of Philosophy and of America’s first philosophical magazine, The Journal of Speculative Philosophy, by William Torrey Harris (1835–1909), with the help of Conrad Brockmeyer (1826–1906) and Thomas Davidson (1840–1900). Walt Whitman, Amos Bronson Alcott (1799–1888), and Ralph Waldo Emerson (1803–1882) were members of these Schools. According to Odell Shepard, Alcott finally summed up his thought which he called ‘Personalism’. This term he may have borrowed from the St. Louis group. To him as to George Howison and, later, to Borden P. Bowne, Personalism was the doctrine that the ultimate reality of the world is a Divine Person who sustains the universe by a continuous act of creative will. The main advantage of this doctrine is the mediation that it provides between the extreme idealistic and materialistic positions, and this alone would have commended it to a thinker who had always been fascinated by the dual aspect of the world. Even more important to a man of Alcott’s intense social concern, however, was the clear implication that all apparently separate minds are bound together, like the planets in the solar system, by their common relation to a central Mind. “Letter from Walt Whitman, with his paper on Personalism in the Galaxy. Is pleased with my letter of Jan. 19, last. This Personalism is in the same grand vein of the Democracy, and he promises a third on Literature. Write to Whitman and send him my Emerson. George Holmes Howison (1834–1916) published The Limits of Evolution in New York, 1901. He seemed to prefer the term ‘Personal Idealism’ and established the personalistic tradition at the University of California, Berkeley. Mary Whiton Calkins began to use the term Personalism in 1906–1907 and called herself ‘An Absolutistic Personalist’. Bowne’s disciples and the prominent exponents of the second generation of Personalism in American Philosophy were the leader of The Bostonian School, Edgar Sheffield Brightman (1884–1953) and the leader of The Californian School, Ralph Tyler Flewelling (1871–1960). Boston Personalist Albert Cornelius Knudson (1873–1954) who published The Philosophy of Personalism, New York 1927, fully introduced Personalism into American Theology. In San Anselmo, California, near San Francisco, Carol Sue Robb (1945–), representing the fifth generation of American Personalism, transformed the Boston Personalist Tradition into the California Personalist Tradition, particularly in the fields of Social Ethics and Feminism. She coedited with Paul Deats a handbook on Bostonian Personalism: The Boston Personalist Tradition in Philosophy, Social Ethics, and Theology. In addition, Georgia Harkness taught and wrote in Boston as a Personalist Theologian as well as the other Personalists: L. Harold DeWolf, S. Paul Schilling and John H. Lavely. Walter George Muelder (1907–), Emeritus Dean, Professor of Social Ethics and Christian Theology at Boston University and the University of Southern California bridged the Bostonian School and the Californian School. His father studied under B. P. Bowne and Professor Muelder personally knew E. S. Brightman and R. T. Flewelling. He was an observer at the Second Vatican Council (1964) and calls his doctrine ‘Communitarian Personalism’ which recalls John Paul II’s ‘communio personarum’. Erazim Kohák, a Czech Personalist, wrote in his essay on American Personalism (1992) that in the United States of America at the turn of the century, the conception of a personal God was powerfully present in the philosophical discussion of the time. In making assertions such as that God is the only being who can be fully said to be a person, the personalists linked their conception of the normative way of being human to God, much as Karol Wojtyła does in his personalism. The personalist terminology and imagery thus served to make the point that this is not a subjective idealism, reducing reality to human thought. It is God’s transcendence which gives God’s creation an irreducibility of its own. Though the meaningful order of reality is subject–related, it is only constituted, not created, by human subjects. God as the ultimate Person guarantees both the meaningful order and that irreducible reality of the real. As for the religious personalists today, the terminology of person and personalism implies all of the above. Indeed, Karol Wojtyła, as Pope John Paul II, explained his notion of a person and his Personalism in the following way: The true personalistic interpretation of the commandment of love is found in the words of the Council: “When the Lord Jesus prays to the Father so that ‘they may be one’” (Jn 17:22), He places before us new horizons impervious to human reason and implies a similarity between the union of divine persons and the union of the children of God in truth and charity. This similarity shows how man, who is the only creature on earth that God wanted for his own sake, can fully discover himself only by the sincere giving of himself” (Gaudium et Spes 24). Here we truly have an adequate interpretation of the commandment of love. Above all, the principle that a person has value by the simple fact that he is a person finds very clear expression: man, it is said, “is the only creature on earth that God has wanted for his own sake.” At the same time the Council emphasizes that the most important thing about love is the sincere gift of self. In this sense the person is realized through love. The International Forum on Persons organizes Conferences on Persons in a biennial series. The first Conference was held at Mansfield College, Oxford, from the 11 th –14 th September 1991. The second Conference was held at Saint Mary’s College, Notre Dame, Indiana, from the 22 nd – 25 th September 1993. The third Conference was held at Oriel College, Oxford, from 15 th – 19 th August 1995. The forth international Conference on Persons was arranged at Charles University, Prague from 8 th – 13 th August 1997. The fifth Conference was organized at St. John’s College, Santa Fe, New Mexico from 3 rd – 8 th August 1999. Finally, the sixth international Conference on Persons was held in Gaming, Austria, August 7 – 12, 2001. The International Forum on Persons provides a context wherein scholars from all disciplinary backgrounds and religious traditions can enter into dialogue about what it means to be a person, and what it is to for persons to live in personal, social, national and international relationships in an age of increasing globalization. These challenging Conferences aim to promote, encourage, and publish original research into aspects of personhood, personal identity, and Personalism, and creatively to explore their application in all fields of science, philosophy and theology. Personalism and life are linked. Personalism is realized between idealism and materialism, between individualism and collectivism and between abortion and euthanasia. An unborn human being is a person. Somebody will try to clone a human organism but it is impossible to clone a human person. To be a person means to be in relationship. A bridge signifies this relationship. I hope that the biannual Personalism will build a golden bridge between science, philosophy and theology in this age of personalization.